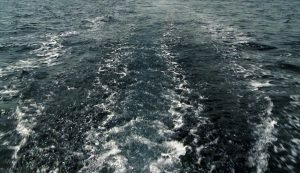 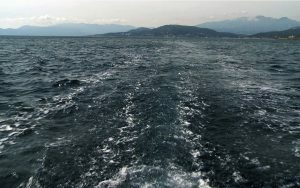 The video installation Borderline shows the backwash behind a ship seen from the deck. 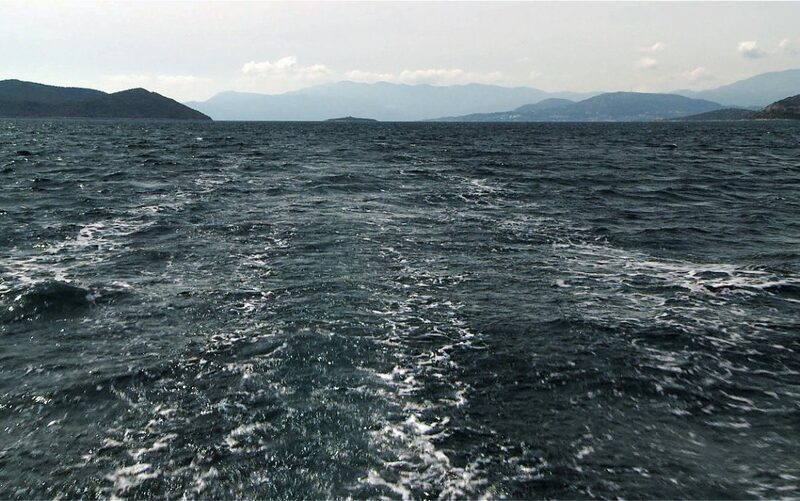 The camera pans slowly over the water, occasionally lifting to the horizon, where landmasses can be seen. 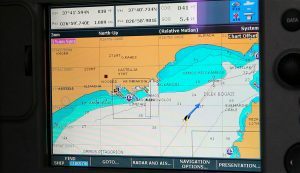 Alternating with this are shots of a screen where the ship’s GPS position is constantly updated. It soon becomes clear that the ship is following the marine border between Greece and Turkey. 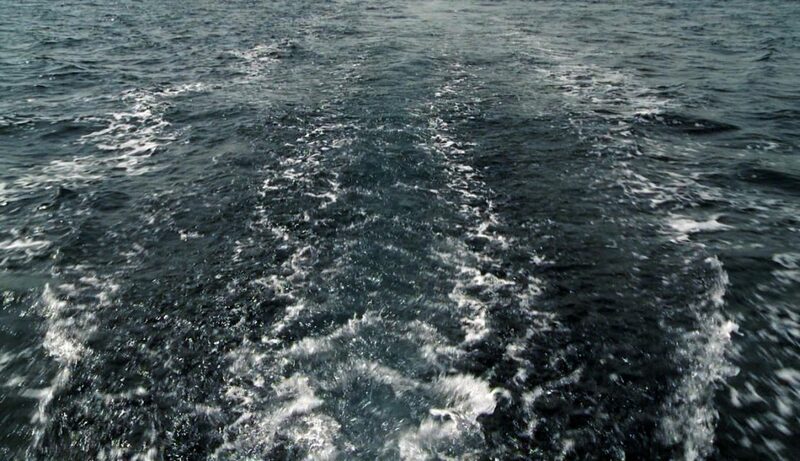 In this way, the churned up wake traces the borderline. 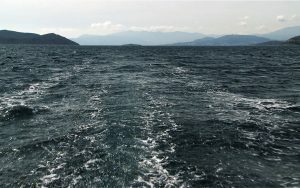 The ephemeral furrow in the marine landscape soon closes again, but the video captures and preserves it.